Roger Ailes, who transformed cable news and then American politics by building the Fox News Channel into a ratings powerhouse before being forced out amid sexual harassment allegations, died Thursday. He was 77. The death was announced by his family and reported on Fox News. According to a family friend, Ailes fell at his home in Palm Beach, Florida last week; suffered complications; and slipped into a coma. "I am profoundly sad and heartbroken to report that my husband, Roger Ailes, passed away this morning," his wife, Elizabeth, said in a statement. "Roger was a loving husband to me, to his son Zachary, and a loyal friend to many. He was also a patriot, profoundly grateful to live in a country that gave him so much opportunity to work hard, to rise -- and to give back." Ailes was a legendary and complicated figure. He was bold, brilliant and charming -- but also profane, intimidating and worse. Charges of sexual harassment ultimately led to his downfall last summer. Analysts said Ailes' career and influence paved the way for the Trump presidency. Former president George H.W. Bush also credited him with electoral success. "He wasn't perfect, but Roger Ailes was my friend & I loved him," Bush tweeted Thursday morning. "Not sure I would have been President w/o his great talent, loyal help. RIP." Media mogul Rupert Murdoch, who hired Ailes to create Fox, said "everybody at Fox News is shocked and grieved by" Ailes' death. 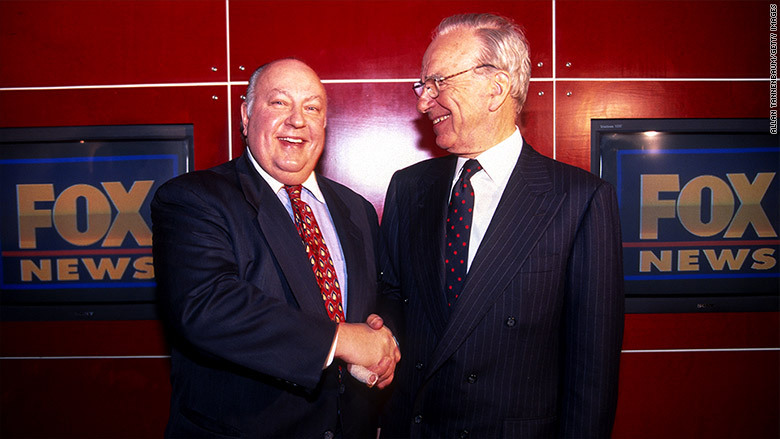 "He will be remembered by the many people on both sides of the camera that he discovered, nurtured and promoted," Murdoch said. "Roger and I shared a big idea which he executed in a way no one else could have." Ailes used his political and television expertise to launch Fox in 1996. With its slogan "Fair & Balanced," the network grew into not just the cable news ratings leader but a profound influence on the right wing of American politics. Fox News promoted Republican candidates and causes and relentlessly attacked what it perceived to be liberal bias in the mainstream media and the entertainment industry. Ailes ruled Fox with an iron fist and turned the network into a billion dollar brand. Over time he also gained oversight of Fox's local TV stations and the Fox Business Channel. Murdoch granted him an almost unprecedented degree of autonomy. Ailes was arguably the most powerful man in American media when he suddenly lost his job last summer. Gretchen Carlson, a former Fox anchor, sued him for sexual harassment, and other women came forward to support her claims. Carlson settled with 21st Century Fox, the network's parent company, for $20 million. Carlson said there had been at least six instances when Ailes talked about her body, intimidated her or used demeaning language. Many other women, including former Fox News star Megyn Kelly, came forward to accuse Ailes, who denied all wrongdoing. His departure was only the beginning of a troubled period for the network. Bill O'Reilly, its pugnacious prime time star, was forced out in April after The New York Times reported that Fox News had paid $13 million to settle claims from five women of inappropriate behavior. All told, Fox and its parent company have paid $45 million in settlements related to sexual harassment scandals. The Justice Department has opened an investigation into whether Fox News failed to inform shareholders about settlements made with employees who accused Ailes of harassment. Investigators from Justice and a second federal law enforcement agency have conducted interviews, including with former Fox staffers, to ask about the network's managers and business practices, sources have told CNNMoney. There are also several pending lawsuits against Ailes and others at Fox. Still, some Fox hosts remained loyal to Ailes. Sean Hannity, a prime time host and longtime face of the network, said on Twitter Thursday morning: "Today America lost one of its great patriotic warriors." The news of Ailes' death reverberated throughout the Fox newsroom Thursday. One longtime Fox employee described the newsroom as being in "shock" -- "No one saw this coming," the person said. Another Fox employee said there were "many people tearing up" and that the workplace had a "very somber mood" filled with "lots of conflicted conversations." One senior Fox employee said the network has gone through so much in the last year that this felt like just one more punch in the gut. "This place has been beaten down so much, there's a surreal factor today," the person said. "It's a factor of weird normalcy, and then you sit back and adjust, and it's like, 'Holy s**t. I can't believe what has happened.'" Ailes never removed himself fully from Republican politics. He began advising Donald Trump at a private lunch days before he launched his presidential campaign in June 2015. Over the next year, they met repeatedly, almost always at Fox News headquarters, and spoke regularly on the phone, sources told CNNMoney. They kept the line of communication open ever after a feud erupted between Trump and Kelly, who, in a question at a Republican primary debate, had questioned Trump's treatment of women. Ailes attended prep sessions before Trump's debates with Hillary Clinton in the general election. Long before Fox News, Ailes was a Republican operative who saw long before most what television could do for the party. As an aide to President Richard Nixon in 1970, he prepared a 300-page memo titled, "A Plan for Putting the GOP on TV News." "Today television news is watched more often than people read newspapers, than people listen to the radio, than people read or gather any other form of communication," the memo read. "The reason: People are lazy. With television you just sit -- watch -- listen. The thinking is done for you." Three years earlier, in 1967, Ailes is said to have confronted Nixon, who had lost the presidency in 1960 to the telegenic John F. Kennedy, and told him: "Television is not a gimmick. And if you think it is, you'll lose again." A few weeks later, Nixon hired Ailes as a media adviser for his 1968 presidential campaign. By the 1980s, Ailes was so influential in Republican politics that Ed Rollins, Ronald Reagan's former campaign manager, described him as "our Michelangelo." In 1984, Ailes provided Reagan a one-liner to rebut any questions about his mental stamina or advancing age. The result -- "I will not make age an issue of this campaign; I am not going to exploit, for political purposes, my opponent's youth and inexperience" -- was one of the most memorable lines in the history of presidential debates. Ailes also worked for George H.W. Bush, who won the presidency four years. When Bush sat down for an interview with Dan Rather in 1988, it was Ailes who pushed the then-vice president to attack the CBS News anchor over questions regarding the Iran-Contra affair. Time and time again Ailes wielded his power to wound other media institutions. He presented Fox as an alternative to all the rest. Brent Bozell, the president of the Media Research Center, a conservative watchdog group, said Thursday that "the Left would command a monopoly control of the so-called 'news' media but for the Fox News Channel, and FNC would not exist but for him. The good Roger did for America is immeasurable." Others begged to differ. 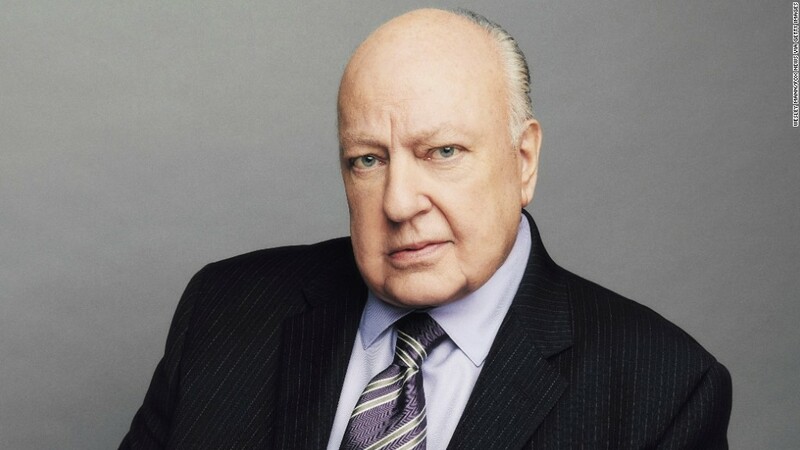 Jeffrey Jones, the director of the Peabody Awards, said in a statement, "No single individual has done more harm to American democracy in the last generation than Roger Ailes. He ushered in the post-truth society. Through a constant drumbeat of fear, anger, and hatred, he turned citizen-on-citizen. He helped craft an enormous gulf of distrust between people and news." There was no immediate announcement on Thursday about a memorial service or funeral plans. But the coverage of his death on Fox and other news outlets memorialized him as a flawed television genius who achieved greatness in conservative media circles. "The secret to life," he once said, is to "find something you love to do, find somebody that'll pay you to do it." --CNNMoney's Tom Kludt and Oliver Darcy contributed to this report.